Today we’re excited to announce the winners of the second Pioneer Tournament! Our second tournament encompassed players from across the entire globe. From Albania to Guatemala and Tanzania, Pioneer is being played wherever there’s an Internet connection. The most popular countries were the United States, India, Nigeria, UK, Canada and Ghana. 60% of our players were outside of the US. This tournament featured several software upgrades—smarter, regional leaderboards, better voting and more community feedback provided to players. Pioneers of this tournament also get a matching grant from the Stellar foundation, bringing the total winnings to $11,000. Innovators are kickstarted into action by stories of other innovators. There’s so much that hasn’t been written about how our modern geniuses got started. What their life was like as teenagers, etc. Eibhlin is going to produce a series of publications about this. A magazine that radicalizes people to follow their dreams. Noteworthy: Eibhlin started writing for The Star—the most widely read English newspaper in Malaysia—when she was 15. Though only 23, she’s published more than 50 articles in news outlets in Malaysia, Hong Kong and USA. Software that lets anyone easily run AI algorithms on sensitive data without it being personally identifiable. Data privacy is of increasing scarcity and importance in our world. Since AI requires data to fuel its intelligence, it’s important to figure out ways to both make smart models and preserve customer privacy, especially in domains like biomedical research. Noteworthy: Matthew has the perfect background for this job, having spent years studying neurology research and as a software engineer at Google, working on AI tooling. He also writes algorithmic trading scripts on the side. If that wasn't enough, previously created a bacterial strain that produces an anti-aging molecule (NMN) at 100x less the cost. A driver telemetry assistant that makes vehicles safer and more connected, aimed at the chaotic traffic of India. Plug it into your car (or fleet) and it’ll enable you to stay alert, avoid collisions, follow road rules and drive better. Noteworthy: Both Rohan and Abhijit’s lives epitomize precociousness. 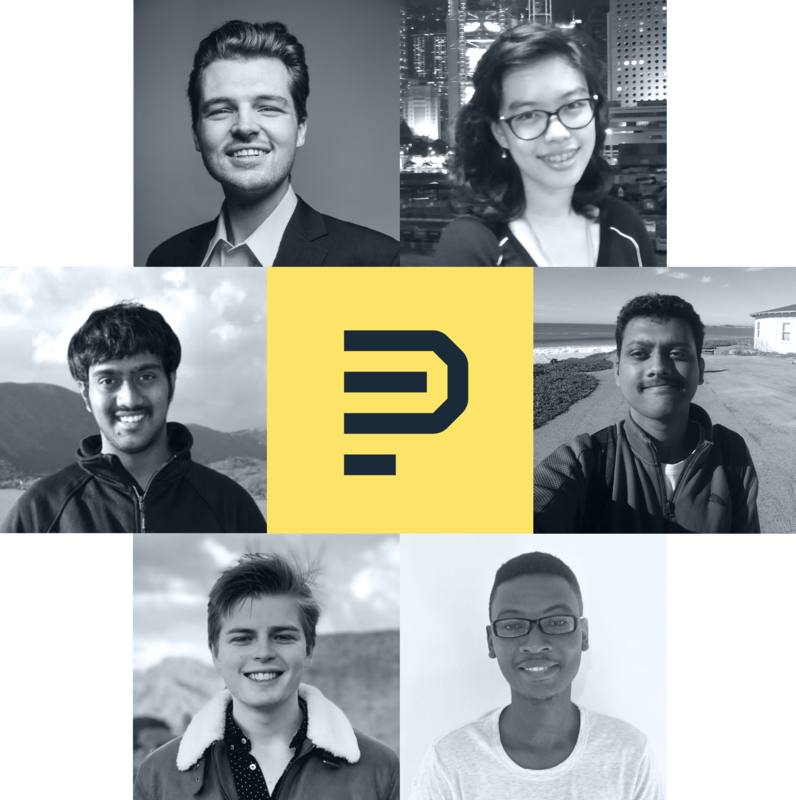 Though only 22, they've already done work on autonomous cars, industrial IoT systems, smart pollution monitoring systems, indoor positioning systems, and smart power grid systems, culminating in 3 publications and 5 filed patents. A Thumbtack for Africa, with a particular lean on service trust and vendor vetting. Noteworthy: Benedict is a self-taught engineer who has been working on startup ideas since he was 16 years old. Progress was the defining characteristic of his gamesmanship in the tournament. He went from a barebones prototype, to launch, to revenue in the short span of 30 days. Huw is applying deep-learning to noisy EEG signals. Many have tried to use EEGs to infer thoughts. From controlling drones to mind-reading words, the results have been somewhat lackluster. However, very little research has been done using new, novel deep learning techniques to properly sift through the dirty mud of EEG data. If Huw’s project works, it’ll revolutionize brain-computer interfaces. Cheap EEG sensors will become the new mouse. Noteworthy: Huw’s already worked on an incredible collection of projects despite being just 19. Previously he made AI models that help self-driving cars detect where pedestrians are looking (in real time) to help prevent fatalities. Before that, he tried to predict weight loss using microbiome data. Before that he was researching AI models that function with little data. Etc. Etc. The most difficult part of this experience was limiting ourselves. We had nearly a thousand qualified players working on nearly every profession imaginable. We selected only the top 5 teams this time. We’ll continue to be flexible with this number, as we’re interested in experimenting with different batch sizes to determine which is most optimal for bonding. All isn’t lost—we run the tournament monthly (the 3rd is already underway!). Players can re-apply with a click of a button. You could be next! Register for our February Tournament here.